Surveys taken at FNMs across the world revealed that although 68.5% of players thought the banning was justified, less than ten percent were even aware of the card’s lineage. Several local scrubs insisted that Planeswalkers were only introduced in the Lorwyn expansion until we showed them an original beta Jace. Jace, the Mind Sculptor was one of the cornerstones of early magic tournaments, providing a much-needed win condition for drawn-out control mirror matches. Under the original rules Jace’s ‘counts as a player’ clause meant that the card could not be countered and had to be provided with its own seat; when reprinted last year, these rules were done away with for logistical reasons. After a pro player tragically died of dehydration during a week-long match involving Stasis, Time Elemental, and chained Timetwisters, the DCI realised something had to be done, and banned Jace outright from all further tournaments. 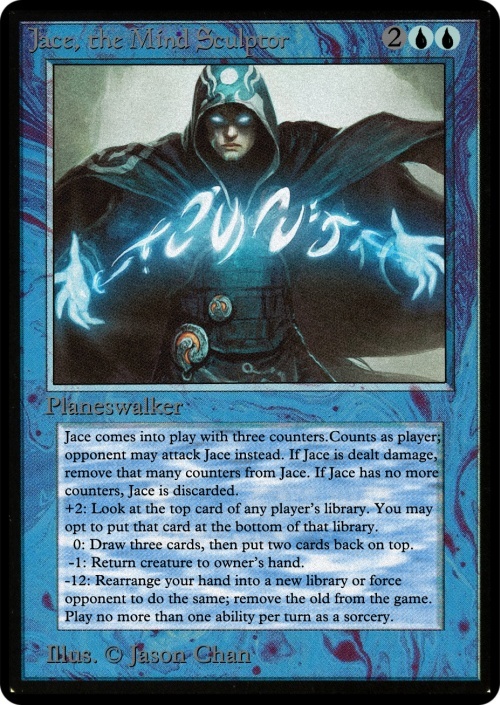 Jace remained banned from even vintage events due to health and safety risks until its printing last year in the Worldwake expansion. While Jace proved too powerful for the current standard environment, two other Zendikar block reprints of once-banned cards failed to achieve the level of noteriety they once commanded. 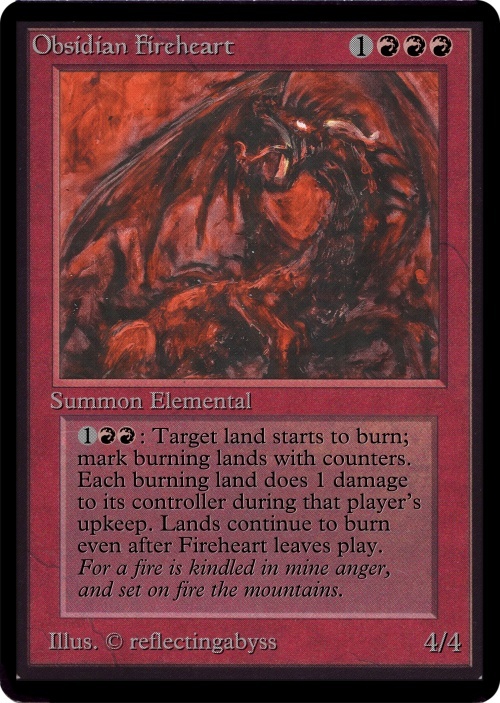 Obsidian Fireheart originally required players to physically set their lands on fire, and its infamous ‘the land continues to burn’ wording was interpreted to mean that if a card went out prematurely, its controller could be issued a loss for failing to maintain the game state. Emrakul, the Aeons Torn, remembered fondly by collectors for its confusing printed mana cost and meaningless ‘legend-gold’ frame, was briefly outlawed from tournaments after Wizards of the Coast’s lawyers expressed concerns over the phrase ‘spells with colour’. 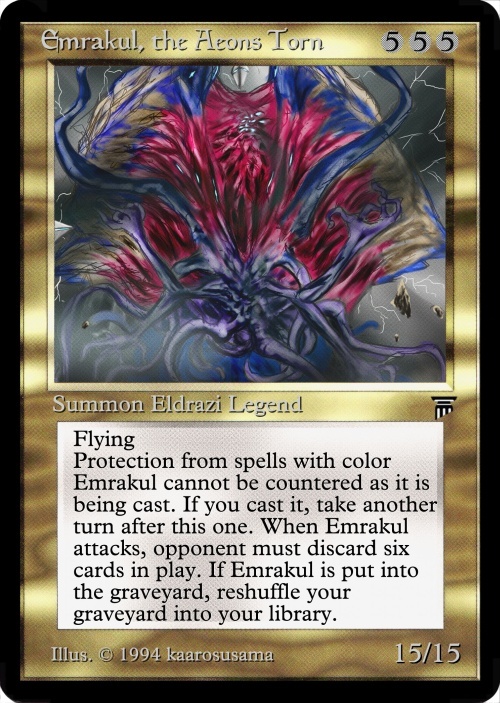 Ironically, Emrakul was in another sense one of the most racially progressive creatures in Magic, as the first card to be printed with two subtypes.